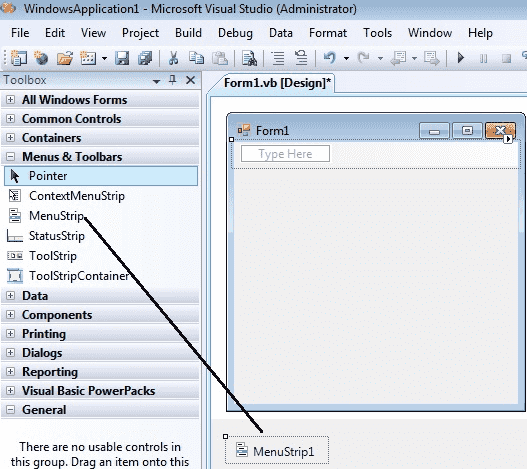 A Menu on a Windows Form is created with a MainMenu object, which is a collection of MenuItem objects. MainMenu is the container for the Menu structure of the form and menus are made of MenuItem objects that represent individual parts of a menu. 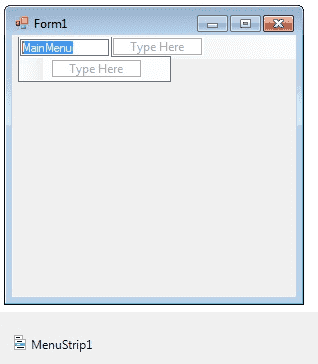 You can add menus to Windows Forms at design time by adding the MainMenu component and then appending menu items to it using the Menu Designer. If you need a seperator bar , right click on your menu then go to insert->Seperator. After creating the Menu on the form , you have to double click on each menu item and write the programs there depends on your requirements. 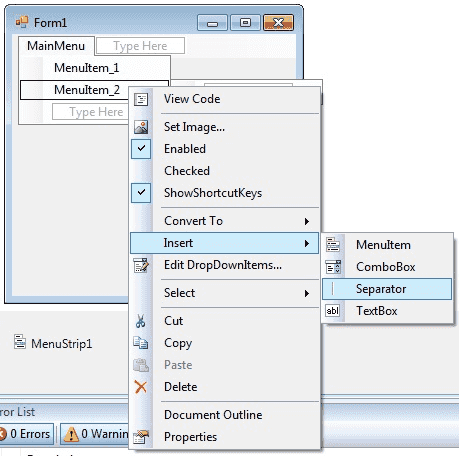 The following C# program shows how to show a messagebox when clicking a Menu item.